A young woman is pushed to the edge by a world filled by police brutality, government corruption and unspeakable crimes. It's all here in Brian Michael Bendis's iconic series Scarlet, now available in an oversize slipcase hardcover edition, complete with scripts, behind the scenes material, sketches and design concepts from both Bendis and illustrator Alex Maleev. After a mysterious murder and a near-death experience, Scarlet Rue awakes from a coma with her world shattered. Fueled by rage, guilt and her vision of a better future, she takes the fight to her oppressors... and anyone else who gets in her way. 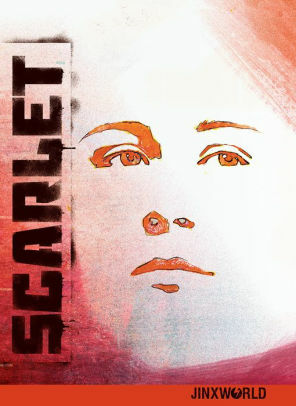 From Brian Michael Bendis and Alex Maleev, the award-winning powerhouse creative team behind Daredevil, Iron Man and Moon Knight, comes an honest, no-holds-barred tale that tackles some of the most prevalent issues in modern American society in Absolute Scarlet. This hardcover Absolute edition is a must-have for all fans of the now-classic series, now included in DC's immaculate slipcased presentation. Collects issues #1-10.